Beehive (PG) College, one of the premier institute of northern India. Affiliated to H. N. B. Garhwal University Srinagar, Uttarakhand set in 2002, is unique and has become a centre of excellence, base for scholarship and high quality professionally oriented education, research, training and consultancy. The best greenery, the unpolluted and unspoiled out skirts of the city and the proximity to nature provide a perfect setting of renowned city of Dehradun. 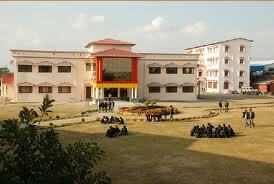 Campus: Beehive (PG) College, one of the premier institute of northern India. Affiliated to H. N. B. Garhwal University Srinagar, Uttarakhand set in 2002, is unique and has become a centre of excellence, base for scholarship and high quality professionally oriented education, research, training and consultancy. The best greenery, the unpolluted and unspoiled out skirts of the city and the proximity to nature provide a perfect setting of renowned city of Dehradun. For the attainment of its objectives, the college blends the expertise, insight and experiences of both its highly competent core faculty and visiting faculty drawn from the industry and academics. There is now a universal acceptance that India is riding high on growth and because of this more organizations are setting up base in India and organizations already present are growing exponentially with a huge demand for skilled managers. This scenario has fueled demand for skilled personnel by India Incorporation. Central library: Beehive (PG) College has a well stocked library with a large collection of books, references, periodicals, national and international journals and magazines. This vast reservoir of knowledge is a source of constant value addition to the students and faculty members. The library includes Over 20000 books covering various titles, Volumes, Audio and Video Cassettes in areas pertaining to the subject, A large collection of CD-ROM’s on various aspects of Biotechnology, Microbiology, Physiotherapy, Science, Management & Information Technology are available for added references. Hostel: The College offers spacious and well furnished, hostels with all modern amenities and conveniences. The hostels are designed on the living-and-learn concept, which helps to build one’s personality by catering to the educational demands in a professional environment. Babu Banarasi Das University, Lucknow- Courses, Fee, Campus and Placement etc.